Twenty-five years ago, it was a military zone where occupying Soviet troops held exercises. Today it's a sanctuary inhabited by wild animals that scientists hope will improve biodiversity among local plants as well as save endangered species. After an acclimatization period at a small enclosure, the horses were released to a 99-acre area. Their task is to stop the spread of aggressive and invasive grasses. That includes bush grass that is a delicacy for them. The invasive plants began to grow after Soviet troops withdrew in 1991. The invasive plants threaten the area's original plants and animals. A stallion will join the mares in April. Dalibor Dostal is the director of European Wildlife, the organization behind the project. He said scientists decided that using big-hoofed animals such as wild horses could solve the invasive plant problem in the most effective way. The animals "maintained the steppe character of nature across Europe for thousands of years," Dostal said. The Soviet army that stayed after the 1968 Soviet-led invasion of then-Czechoslovakia was the last armed force in the area. Dostal said the soldiers' activities actually simulated the impact of hoofed animals. That is a reason why "military zones in the Czech Republic are the places with the best biodiversity." The soviet soldiers activities simulated the impact of hoofed animals by many soviet troops traveling many times back and forth from the military exersize zone. What used to be a military zone for Soviet troops in the Czech Republic, is now a national park where threatened species may reguvinate. 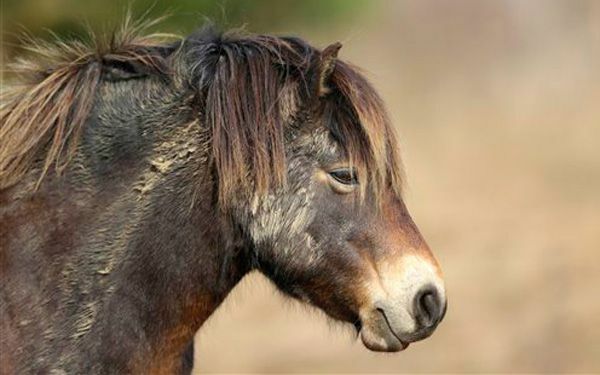 The director of the park has decided to let wild mares loose in the area to help stop the growth of an aggressive grass growing in the area. The director was looking for an animal that would eat the invasive plants and grass and have big hooves to kill the grass. The horses were an ideal choice because the grass is a delicacy for them and they have large hooves. They were also chosen to help some 30 threatened species in the area. A stallion is being let loose with the mares probably to increase their numbers a little bit. Environmentalists are already planning to expand the area and use other big-hoofed animals such as the European bison. Hopefully this will help the situation. I think this is a good idea for the threatened butterflies to be saved by the horses. Have endangered animals isn't a good thing for the planet nor for them . Animals are suppose to be treated like humans ,but that isn't always true. I think this is a good idea for the threatened butterflies to be saved by the horses. Have endangered animals isn't a good thing for the planet. Animals are suppose to be treated like humans ,but that isn't always true. In the Czech Republic, a former military base is being overrun with invasive plants that pose a threat to the native species. Some horses were imported from Britain to eat the invasive weeds for an effective and economical alternative. This should help around 30 endangered species around the area survive. This article was short, but had good information. The use of quotes in this was nice. I think this is a very smart way of getting butterflies back. Like it says in the text, their alternative would be very expensive and would not be very good for the environment. 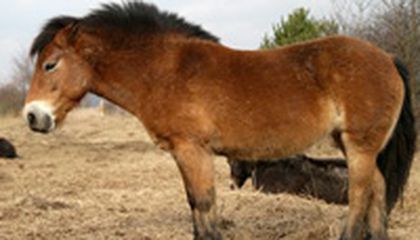 At former Milovice military base 14 wild mares were moved in. They were tasked with keeping the 99 acres free from aggressive invasive grasses. Original plants and animals are threatened from this invasive species. The horses should help bring back some of the 30 threatened species including the Mountain Alcon Blue butterfly. I think that it is very cool that they are using nature to fight nature. The alternative may have included using chemicals which most likely would've further endangered native species to the area more that the grass. Oh that is sad that little butterfly butterflies are being destroyed but it least these little thing are being save by these hero horses its these little thing that save the world today that just amazes me. I can't believe that horses would save threatened butterflies like that. It makes my heart melt. Also my friend ,Damen, he loves horses. I think he would love this article.